Home / Creativity / Why I Love Making Soap! The soap above was actually made in NYC! I travelled up to New York and took a weekend intensive to learn advanced swirling, layering, mica lines and embedding soap balls. I also tried my hand at using soap in a frosting bag and making soap cupcakes and also made my first wine and beer soaps. I had a blast! And it was so much fun to network and make new soapy friends! This all happened in 2009 and still makes me smile. I actually ran into a woman who I met there at the TN Soap Conference in Feb this year. It is a small soaper’s world. I had first heard about soapmaking when I was on AOL many years ago, about 1998. I was looking for information on another craft and came across a message board on soapmaking. I started reading, asking questions and then ordered a soap kit from one of the suppliers on the message board. I got my kit and was so freakin’ excited! I opened it and then was in a quandary, WHAT was I going to use for a soap mold, had not a clue. I called the company ( Rainbow Meadows) and asked and was kindly told I could use PVC pipe or downspout/gutter pipe. So I went to Home Depot and used gutter pipe and it was perfect! Had scallopey edges on all sides when sliced and looked very pretty. I could not believe I made this wonderful product myself to use and share and I was definitely hooked! I love this craft that is an art and science both and appeals to both side of my brain , my eyes and most of all my nose. 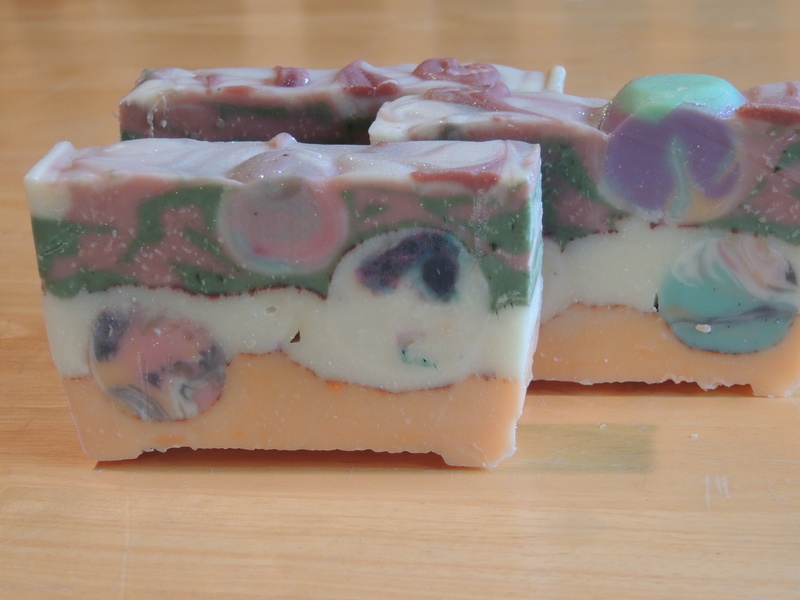 I love experimenting with all the scents and the colors and using wine or beer or milk or juice to make wonderful soaps. 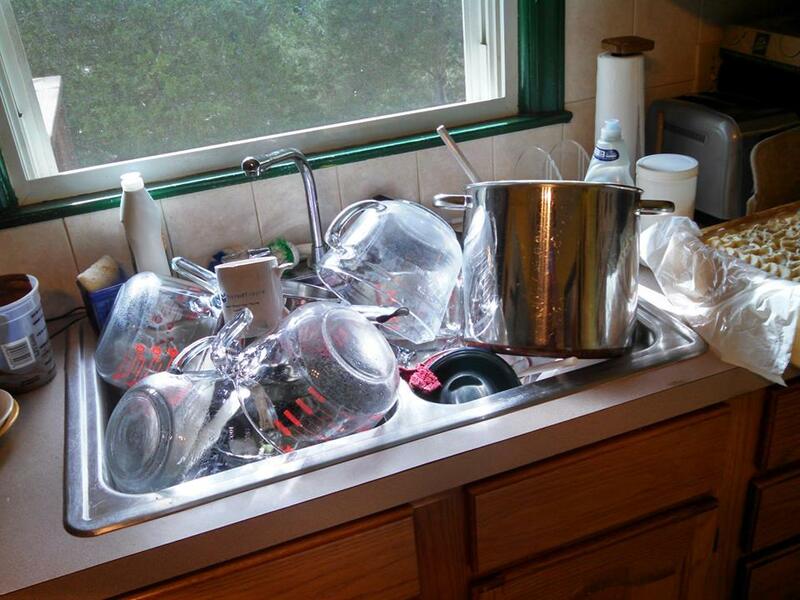 Some of the experiments go a bit haywire but that adds to trying to figure what went wrong. I try to push my skill level envelope and try new things and techniques by participating in soap challenges which are a lot of fun. Another addiction is watching soap tutorials on you tube – I have subscribed to many and am always fascinated by them. I get as mesmerized by them as Dory does in Finding Nemo. Soapers are a great group of people- and yes there are women and men soapers. They share allot and each support each other in our businesses. I have even been teaching soapmaking over the past several years and it is always so much fun helping someone to make their first batch of soap. I love it and seeing that creativity sparkle and grow. But of course there is one down side to making soap~ the cleanup. But it is definitely worth it when you up your batch and see what’s inside! What soaps are you wild about?